Boca Raton FC defeated Naples United FC 3-1 tonight at Golden Gate High School in Naples, Florida. Shadi Harb had a brace and Giovani DiMauro added a third to pace Boca Raton. It was the second successive win for Boca Raton in NPSL play, both victories coming away from home. After the home team started quickly with two early chances, Boca Raton gradually assumed control of the match in the middle of the first half. Head Coach Athirson made a tactical change shifting Justin Wilbanks into midfield and moving Jason Fitzgerald to right back. The remainder of the half with Wilbanks serving as the focal point of Boca Raton’s play in central midfield, several chances were created with intricate passing and movement. The best chance of the half for Boca Raton to fell Wilbanks who put a shot on frame that was cleared off the goal line by Naples United’s Gilbert Fab. Despite the chances Boca Raton failed to register a goal in the first half, but early in the second half Wilbanks was taken down in the area and Harb scored his first goal calmly from the penalty spot. Boca Raton had a few chances to double the lead but were unable to take advantage and Naples began applying pressure. Striker Juan Buzan was particularly active for Naples United who were pressing high up the pitch. Rafael Campos was able to convert a penalty from spot to equalize for Naples United about midway through the second half. It was the first goal of the NPSL campaign for Naples United. Following this goal, Naples high-press combined with Boca Raton high defensive line yielded a few more chances for the home side but goalkeeper Leo Tavares was up the task making two spectacular saves charging off the line as a sweeper keeper. Moments after Tavares second spectacular save Harb found himself space and fended off two Naples defenders and placed the ball past keeper Cristian Blanco to restore the Boca Raton lead. DiMauro made it three before full time when he was able to convert a one-on-one opportunity on a counter attack. 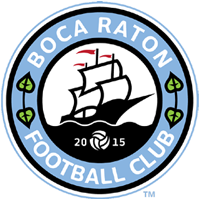 With the victory Boca Raton remains six points off of the NPSL Sunshine Conference lead currently held by Miami United.